One of our most popular machines for low volume sealing. 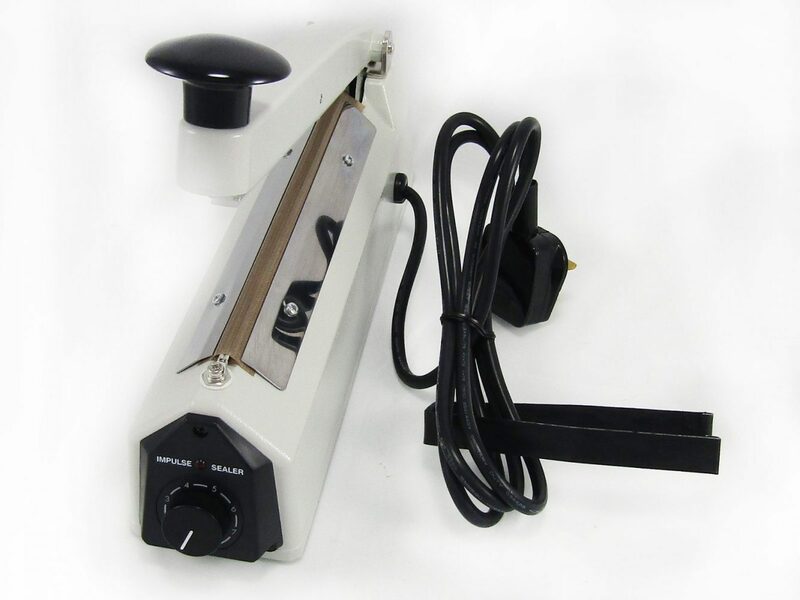 Great for polythene and film bags this impulse sealer continually proves itself for reliability and seal quality. Whilst remaining very affordable. Available in 3 different seal lengths. 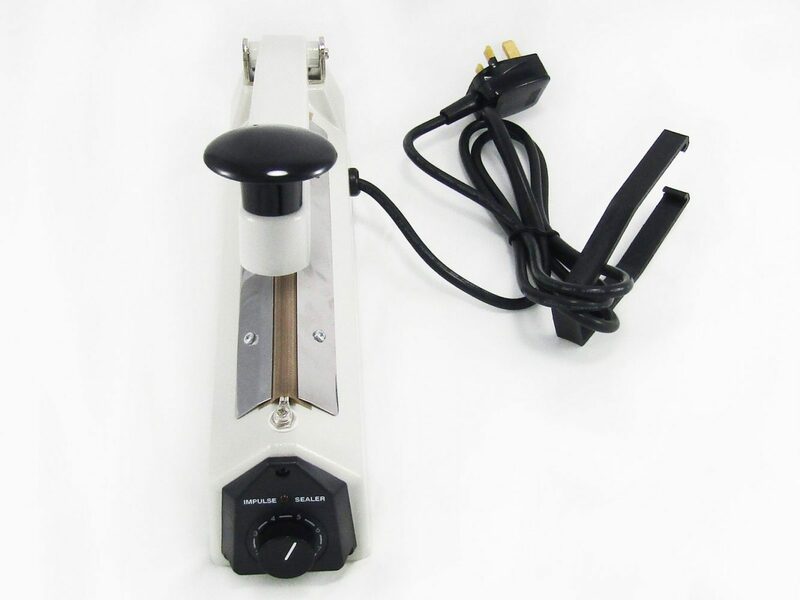 This Audion Eco machine our entry level impulse sealer. It perfect for sealing plastic and polythene packaging. This unit does not feature a cutter. 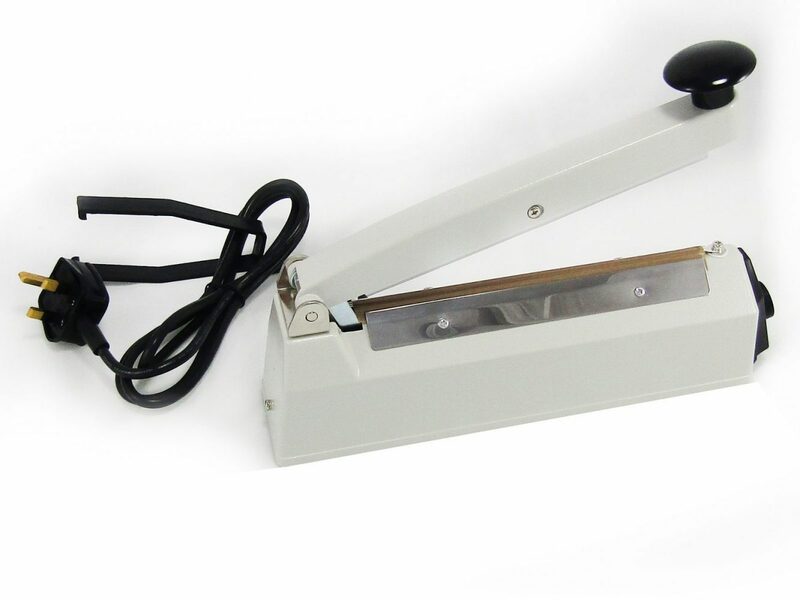 If you are looking for a plastic bag sealer this model is an excellent budget option. 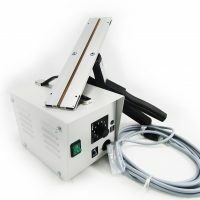 If you are looking for a heat sealer with cutter feature these are the preferred choice for sealing lay flat tubing. 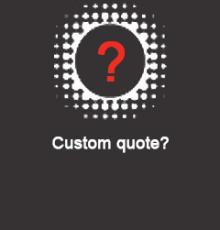 The material can be cut and sealed to your desired size. This machine balances its affordability with the premium build quality you would expect from a market leading brand. 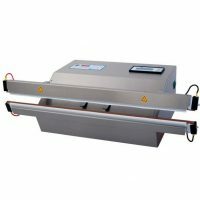 All our heat sealers are manufactured to a CE approved standard making them the far more safer and reliable than cheaper alternatives. 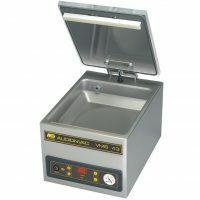 All sizes on this unit feature an adjustable bag sealing time allowing for material with a thickness of 2 x 0.15mm. Ensure that the voltage indicated on the machine is suitable for your mains supply. Sealing time is variable and will depend on the thickness of the material. We recommend a test seal at temperatures 4 and 5. Place the material over the sealing bar and compress the bar down. Whilst sealing the operation light will be lit. When this turns off keep the arm pressed down for 2 seconds to let the seal set and cool. If the seal feels weak increase or decrease the sealer as required. 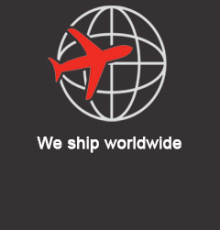 Depending on the packaging film being used you may need a different. For thin films a setting of 2 – 4 will usually be suitable. 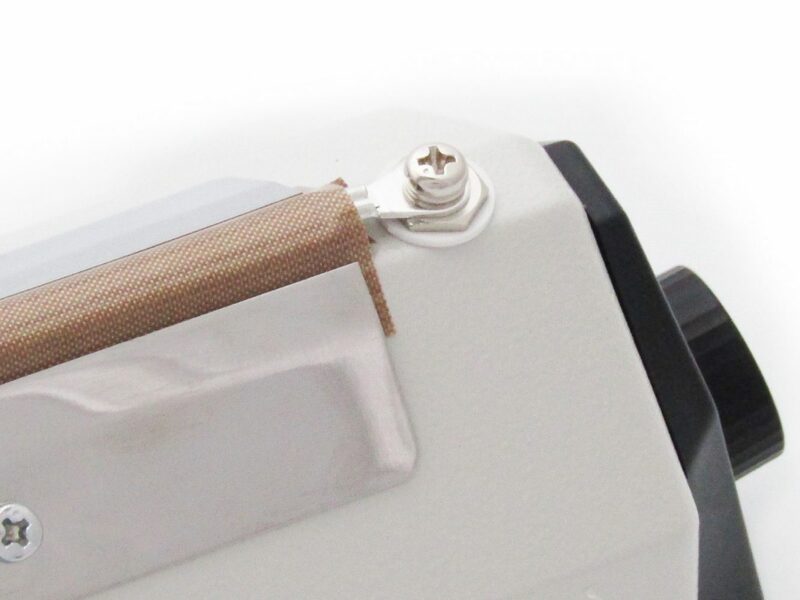 For thicker film try 6 – 8 on the control setting. If you need to do any maintenance on this machine always switch it off first by removing the plug from the socket? Please note – maintenance should be carried out by an appropriately trained/qualified professional. If the PTFE impulse sealer strip becomes worn or burnt this should be replaced immediately. In this event also monitor the silicone rubber element to ensure this is not damaged as well. Each sealer comes with 12 months manufacturers warranty in the unlikely event of any factory defects. This does not cover the consumable parts used in this machine. 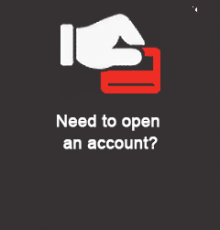 If you experience any problems please get in touch. 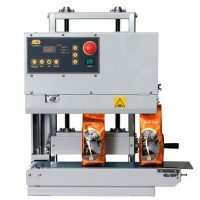 Click here to see more from our range of impulse sealers.